Every field service business shares the same problem. You’re in the office, but your field employees are on the road, so you don’t really know what they’re doing. That’s why you need an advanced software solution like delivery route optimization software. Ideally, your field employees are following the rules of the road and driving defensively. But what if they’re not? Your field employees might have a habit of speeding, accelerating suddenly, braking suddenly, or taking turns too fast. If that’s the case, they’re putting themselves at greater risk of getting into an accident. Car accidents are expensive. They can cost you a fortune in automobile repairs, medical bills, and legal fees. You’ll probably have to deal with a huge hike in your insurance premium as well. And, of course, you know your field employees personally. If there’s anything you could do to prevent them from being harmed, you would do it, right? In this article, we’ll show you three ways daily route planners help prevent collisions. According to a National Transportation Safety Board study, speeding is a factor in 31% of U.S. traffic fatalities. If one of your field employees is speeding, there’s a good chance it’s not because they’re looking for an adrenaline rush or anything like that. Instead, they might be working with an inaccurate or inefficient route that forces them to speed to stay on schedule. It’s your job to give your field employees the efficient routes they need to succeed. But that’s just about impossible when you plan your routes with pen and paper. Route planning is complicated. In addition to figuring out the best routes to give your drivers, you must also consider traffic, construction, weather, customer availability, and many other factors. That would take a long time to figure out by yourself. Also, this is so complicated that you’ll likely make a mistake or two, which would delay your field employees, upset your customers, and damage your reputation. A delivery route planner solves all of these problems for you. Its route optimization algorithm can create even the most complicated routes in less than 30 seconds. And routes created with delivery route optimization software will be as efficient as possible, which means your field employees will have everything they need to make it to all of their stops on time without speeding. Just make sure that the planning software you invest in is cloud based. That way, you can take advantage of dynamic routing. Imagine this scenario: a customer calls in at the last minute to change the address of a delivery, but your field employee has already left to complete their route for the day. Without cloud based dispatch management software, you’d have no way to communicate this change to the driver. But with cloud based delivery route optimization software, any change you make to a route on your office computer or personal mobile device is automatically reflected on the mobile app used by your field employee. 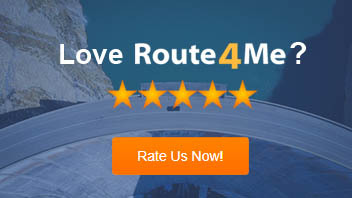 Optimized routes allow you to save time, reduce unnecessary fuel consumption, and make more money. To learn more about how to plan the best route, check out this guide. You can’t always blame dangerous driving on a bad route. Sometimes, it’s your field employee’s fault. Again, the problem with managing field staff is that you can’t physically see what they’re doing. They might be working hard and sticking to their routes, or they might be wasting time and taking unsanctioned breaks. How can you ensure that your field employees are doing exactly what you want them to do? GPS tracking is how. This feature gives you the ability to see the location and speed of everyone on your team in real time. It even has a speed alert feature that notifies you when one of your field employees breaks the speed limit. The beauty of tracking data is that you don’t even need to look at it for it to have an effect on your field employees. When they know they’re being watched, they’ll behave better. One-size-fits-all is not the approach you should take for your training. Each field employee has different strengths and different faults. For each employee, you should focus most on the faults that need to be improved. That’s where a technology-driven training solution like Safety4Me comes in. Safety4Me monitors the driving behavior of everyone on your team. 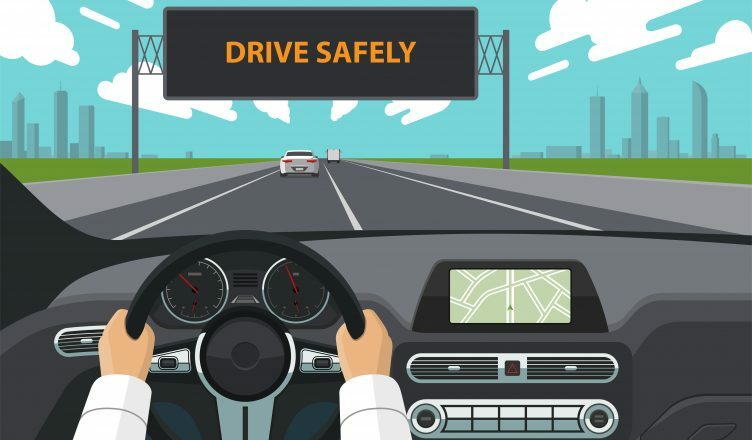 When it detects dangerous driving behavior from a particular field employee, such as harsh braking or lack of seatbelt use, it automatically assigns them the relevant training course. Read this article to learn more about Safety4Me. So, do you have any questions about this subject? Feel free to let us know in the comments section below. How does delivery route optimization software help your drivers stay on schedule? How does Safety4Me improve your training process?